First and foremost, the Foundation gives thanks to Broadway performer, Sean McDermott and Rocco Pugliese, who sponsored all of McDermott’s travel expenses. 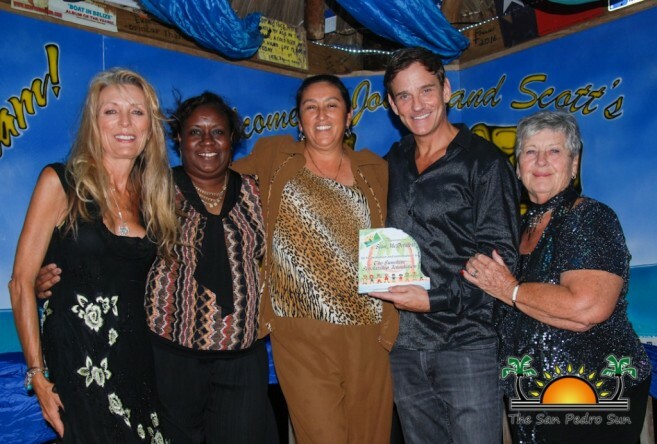 McDermott brought down the house at The Palapa Bar on Wednesday, February 22nd. Not only did he perform at no charge, but he has also committed to assist the Foundation with another benefit concert next year. Special thanks goes out to Jodi and Scott Harnish at The Palapa Bar for the venue, Estel’s Dine by the Sea for donating $3,000 from the proceeds of their annual BBQ cook-off, William and Connee Law for donating a full-year’s scholarship, Ina’s Decorations for decorating the venue, Dr. Renae Sersland for her heartfelt speech, Dayanara Manzano for her amazing performance with McDermott, Jan Brown for hosting the Chinese Auction, and Bruce Figueroa, along with his drummers, from Isla Bonita Elementary School. The Foundation also acknowledges their Gold, Silver, and Bronze sponsors: Captain Sharks, Janet McDermott, Charles and Sandra Reid, Suya Tours, The San Pedro Sun, The San Pedro Town Council, Tropic Air, Gary Romig, Lone Star, Social Security Board, Tammy and Joe, Mary Reidlinger, Castillo’s Hardware, Eric Lausen, Joe and Consuelo and Graniels. Organizers Joy Flowers and Eve Dirnback are sincerely grateful for everyone’s support in making a difference in our children’s education. The proceeds from this concert will help to provide scholarships for those who cannot afford educational expenses.